Watch the Live Stream by navigating to the appropriate date below. 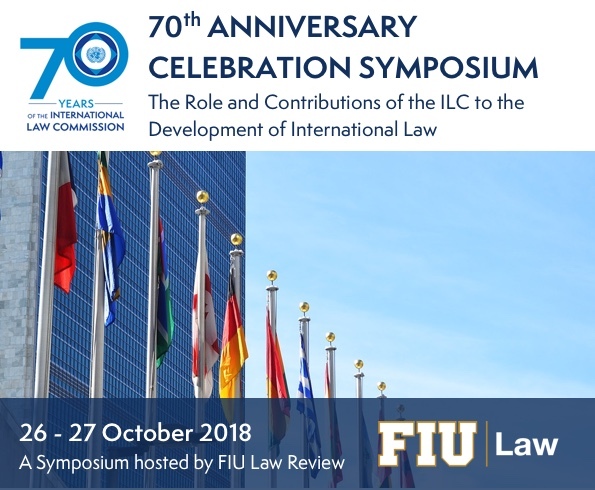 The FIU Law Review and Professor Charles C. Jalloh will be hosting The Role and Contributions of the ILC to the Development of International Law, a Symposium celebrating the 70th Anniversary of the International Law Commission. The International Law Commission’s past, present, and future will be assessed from the perspective of progressive development and codification of international law. Leading scholars and practitioners of international law from around the world will convene to interrogate how the foundational pillars of “progressive development” and “codification” of international law took concrete expression in the mandate and practice of the ILC. This 70th Anniversary Symposium will review the key accomplishments of the ILC over its 70 years, its distinctive features, and celebrate the Commission's contributions to the establishment of a rule-based international legal order.